Fashionistas Daily .Com: Crème de la Mer The Lifting Eye Serum - Lift & Firm Your Eyes like Magic ! Crème de la Mer The Lifting Eye Serum - Lift & Firm Your Eyes like Magic ! I just turned 43 this year and the Earth's gravity has not been kind to my skins in under eye area! I have very little under eye bags just 2 years ago and all of the sudden, my under eye bags getting bigger and bigger! So big, I think it can have its own zip code LOL. So desperately I am searching for a good eye cream / serum to help stopping this under eye bag madness.... I've tried so many products, from Clarins, Shiseido, Clinique.... they were all great moisturizer providing moisture for your eye area but nothing helped to reduce the size of my under eye bags and minor dark circle. 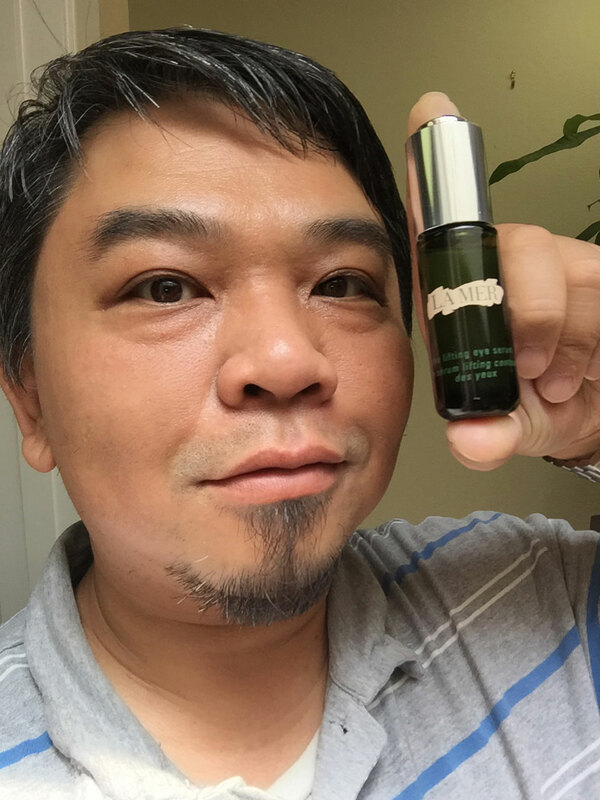 So one day I decided to go to Nordstrom and got a bottle of the lifting eye serum by La Mer, just in 12 days ( I started using it on 8-1-2016) my under eye area appears much more firmer & brighter than before ! of course nothing can cure or get rid of under eye bags completely, that's something for those cosmetic surgeons on Beverly Hills to do their magics, but this eye serum has worked wonders for me! 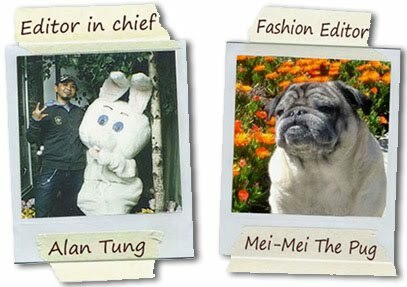 Here is a before and after photo of me. One taken on 8-1-2016 (Left) and the after photo taken on 8-12-2016 (Right). 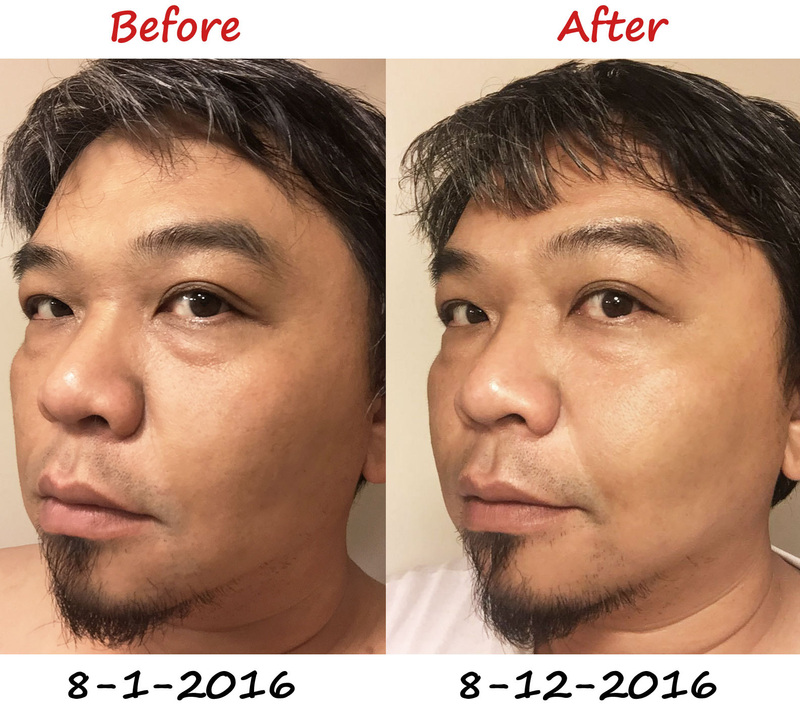 I promise, there is no photoshop retouching, no special lightening effect, just a REAL before & after photo so you can judge for yourself. The texture of this serum is very light and thin, not sticky at all! I apply it around my eyes after washing my face & toner. After apply the eye serum, I count to 10 to let it completely sink into my skin then I apply my eye cream on top of it. Here is some info about of this fabulous eye serum. 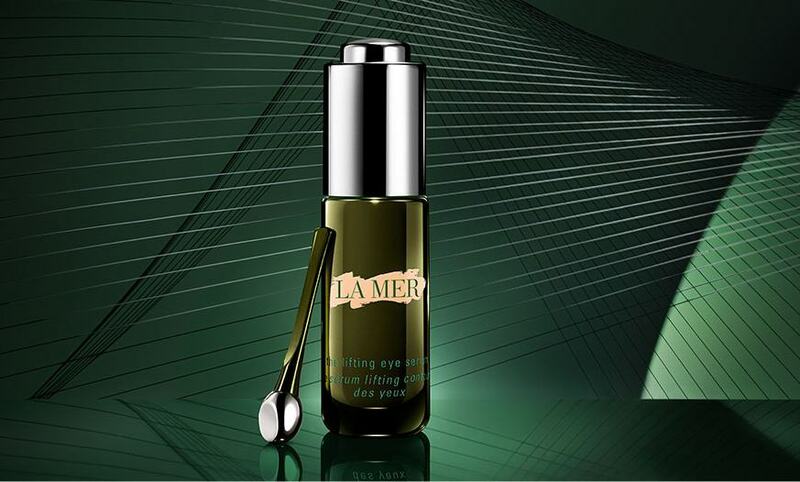 A luxurious lift from La Mer. With our new interlaced Stretch Matrix Complex, this precision serum helps visibly support the “architecture” of the eye and brow area. Sea botanicals promote the natural production of elastin, helping the visible effects heighten with time. The look is rejuvenated and uplifted. Suspended in time. I know price tag is hefty... but a little goes a long way! I would say this bottle can easily last 4 to 6 months. If you are looking for something that can help reduce your big under eye bags and dark circle, I would recommend you to go to your local department store and get some sample to try it! I think you will be as happy as I am with the result that delivered by La Mer the lifting eye serum !